This entry was posted on December 5, 2011 at 12:44 pm and is filed under Halloween, holiday, ninjas, pop culture with tags holiday, Ninja Day, Ninja Magazine, ninjas, pop culture. You can follow any responses to this entry through the RSS 2.0 feed. You can skip to the end and leave a response. Pinging is currently not allowed. :O …so let me get this straight. 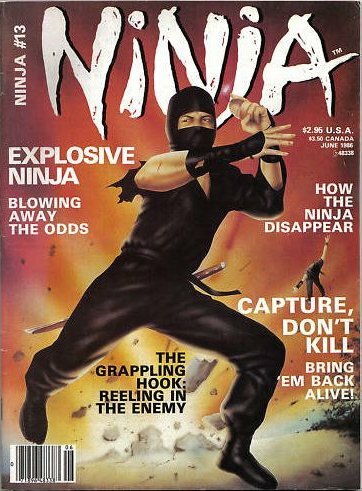 Not only is there an entire day dedicated to being a ninja, but there’s a magazine as well?! That’s EPIC! You and I are truly brothers from other mothers. I caught hell from my mom for cutting the sleeves off of a black t-shirt. 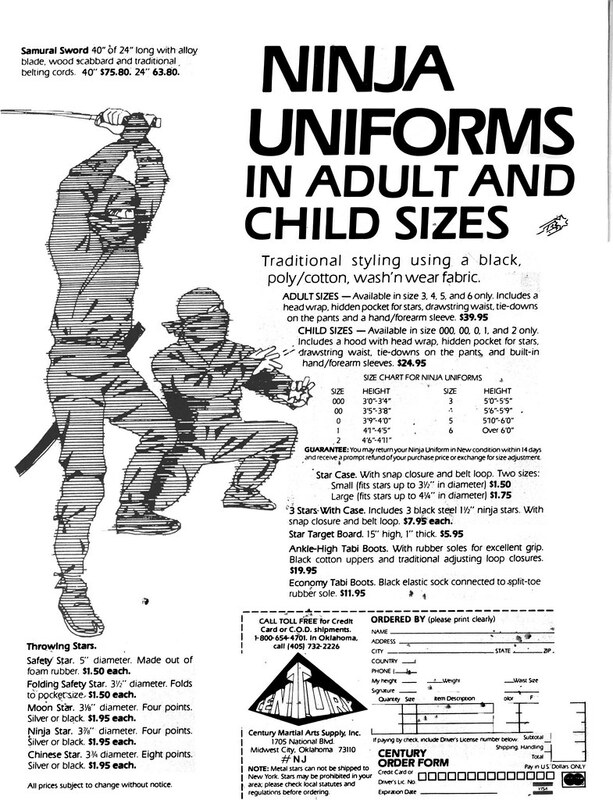 The sleeves, when placed over the mouth and nose and top of head, made a serviceable ninja cowl. With my trusty broomstick katana with electrical tape handle, I was a sight to behold. I wish it were easy to track down these older publications. They are almost impossible to find! Earth Ninja? I just saw it. 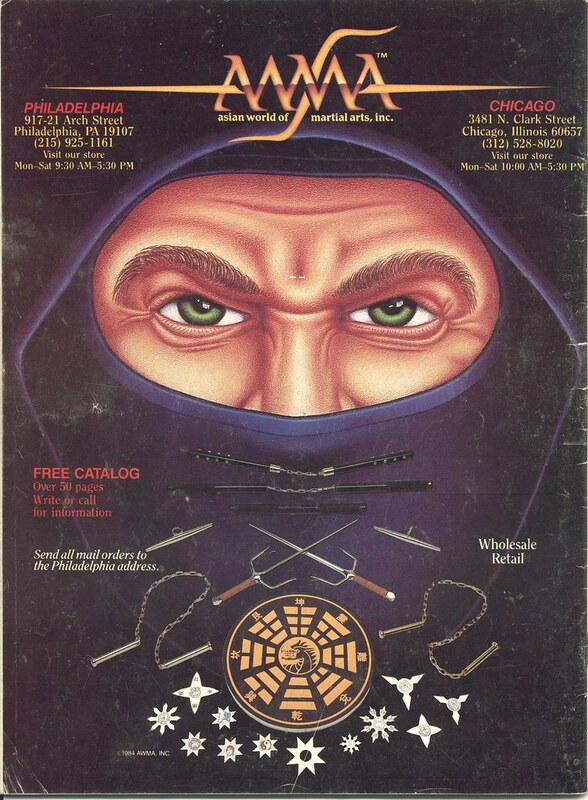 Here it is: “Earth Ninja, Destroyer of Evil” Ninja Magazine- April 1985- Issue #6. 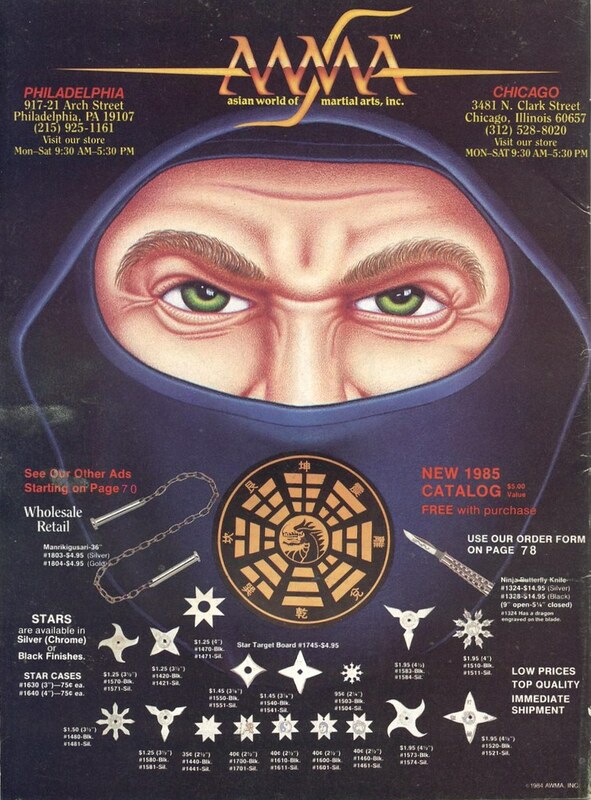 I had issue #13 it told you how they made ninja grenades and smoke bombs. Even chemicals to use to change the smoke different colors. I cant remember if it was this magazine that had an article on external iron palm. Picture showed a student splitting a flat smooth rock on the floor with this thumb. Is that article in issue #13?